DEC1, a possible target for cancer therapy, was incorrectly rendered, and it could potentially be missed in downstream data analysis. The same type of error can infect, and propagate through, the major public data resources. For example, this type of error occurs several times in even the immaculately curated LocusLink database. As that notes, a gene that might be relevant for treating cancer could well be missed because of this incorrect conversion to a date by Excel. Although it is unlikely that any serious harm has been caused by this -- yet -- it's a useful reminder of the dangers of depending a little too heavily on the results of software without checking for corruption of this kind. theodp writes "Yes Virginia, there is a Techdirt reader at Google. 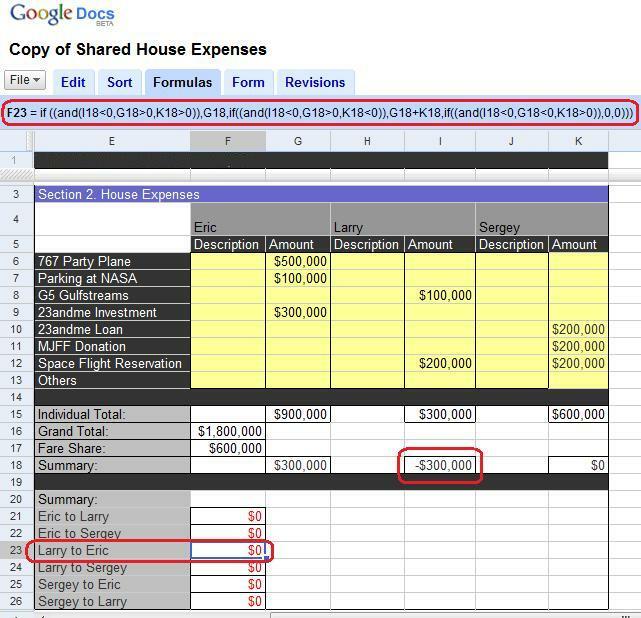 It took a little public teasing, but Google has quietly fixed the formula bugs in its YouTube-hyped Shared House Expenses spreadsheet template, which can now correctly split roommates' bills three ways (before and after). And so ends another episode of life imitating The Onion." 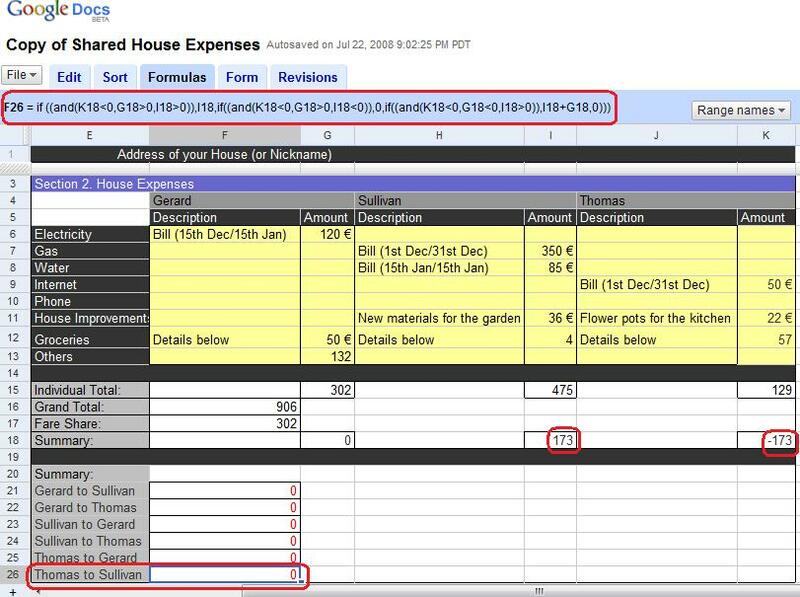 theodp writes "Recently, Google debuted its new Google Docs Template Gallery, showcasing a Shared House Expenses spreadsheet template in a pretty elaborate YouTube Video as an example of 'tools that just work.' Only problem is, the popular five-star template still doesn't work correctly. 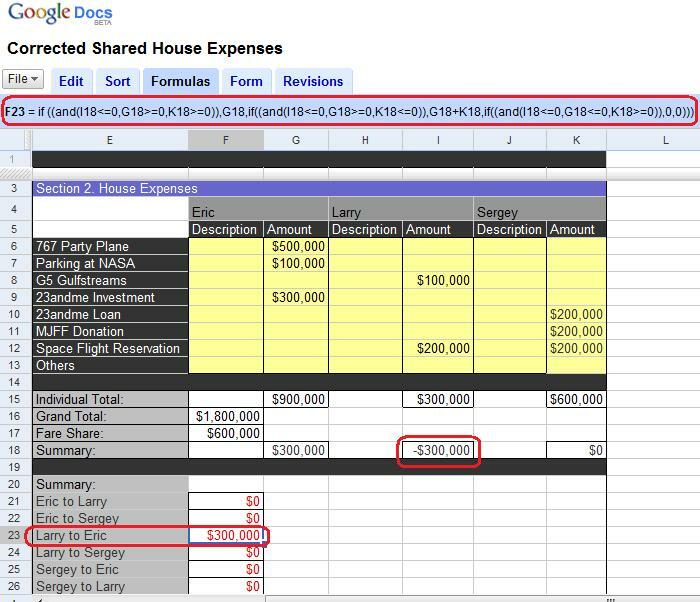 Thanks to its doesn't-handle-zero-correctly bugs, the spreadsheet fails to always divide expenses properly, allowing one roommate to get away with contributing far less than his "Fare [sic] Share." So did Google release the spreadsheet to gazillions of users without bothering to verify it worked, or did all those Googlers fail to recognize some pretty obvious mistakes?"